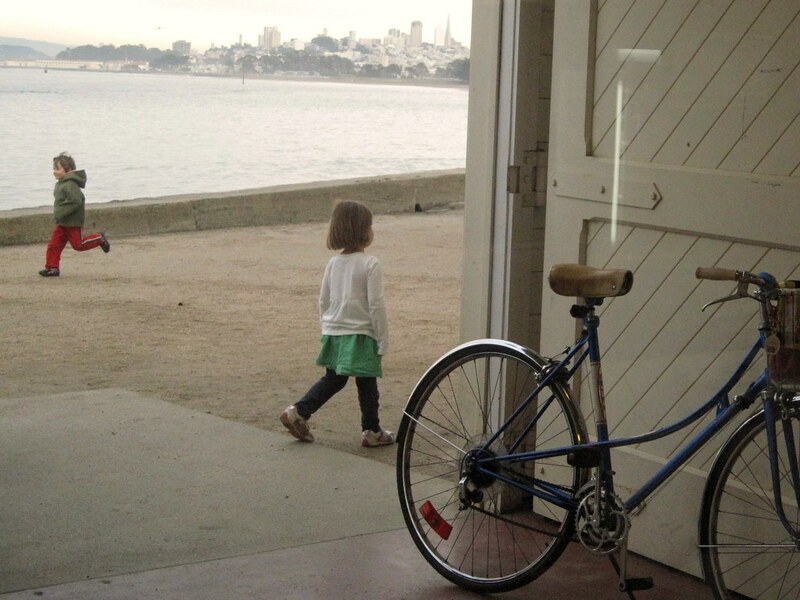 City, bicycle, youth – Cheers to a beautiful future! / Taken from inside the Warming Hut. 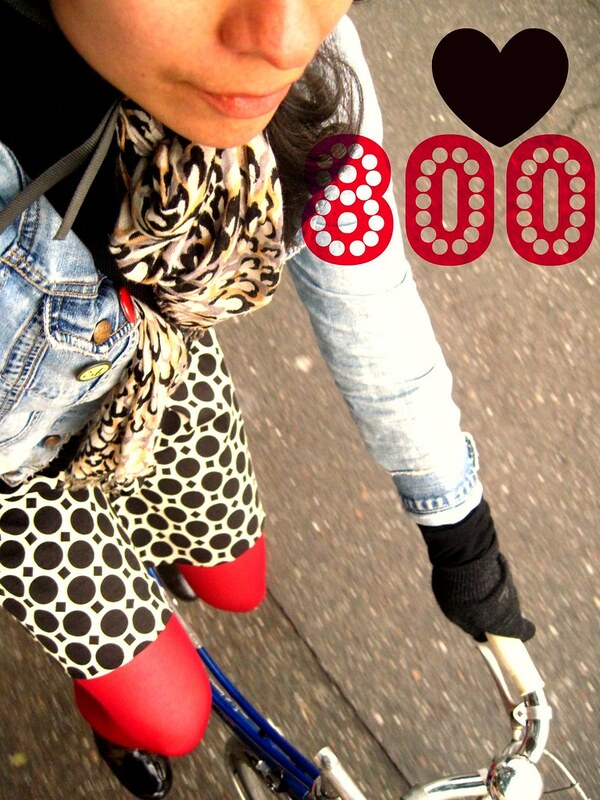 According to blogger, this is my 80oth post published. Just in time to close the year. Cool. Palace of fine arts/exploratorium in the Marinalands. During the holidays, when everyone is either away or in the city acting like funny photo-takin toursits, I enjoy going to a local touristy destination, grabbing a deli sandwich and making friends with birds and their friends that want to steal your lunch. Photo del dia: Window shopping. Calitexican awaits for me to get my grub on. I picked up a sandwich and while waiting for it, this angle outside the deli, just seemed great. No photoshop needed, as usual all the pics here are pretty much straight out of the gadget camera of mine. 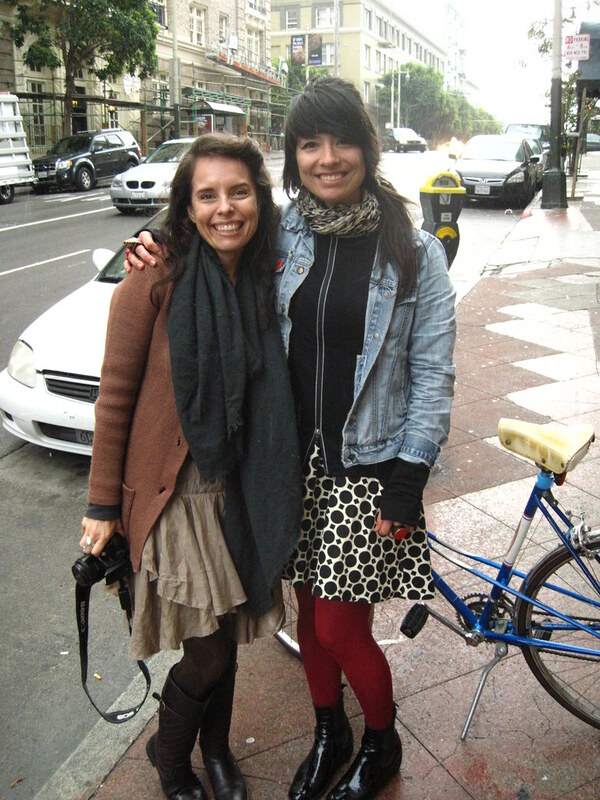 Sundays ago, I got to meet Jennine during her holiday visit to the Bay Area. 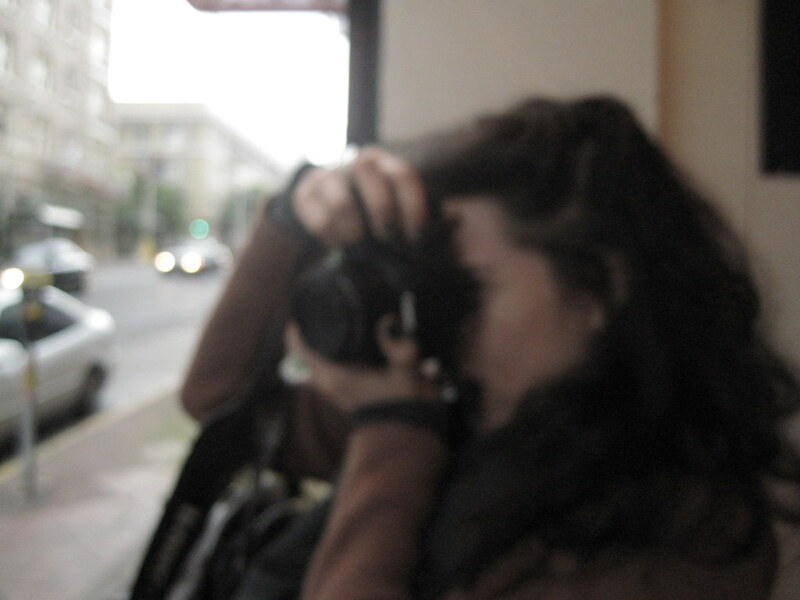 Her blog The Coveted was actually the first local blog I began to follow in mid-2007. 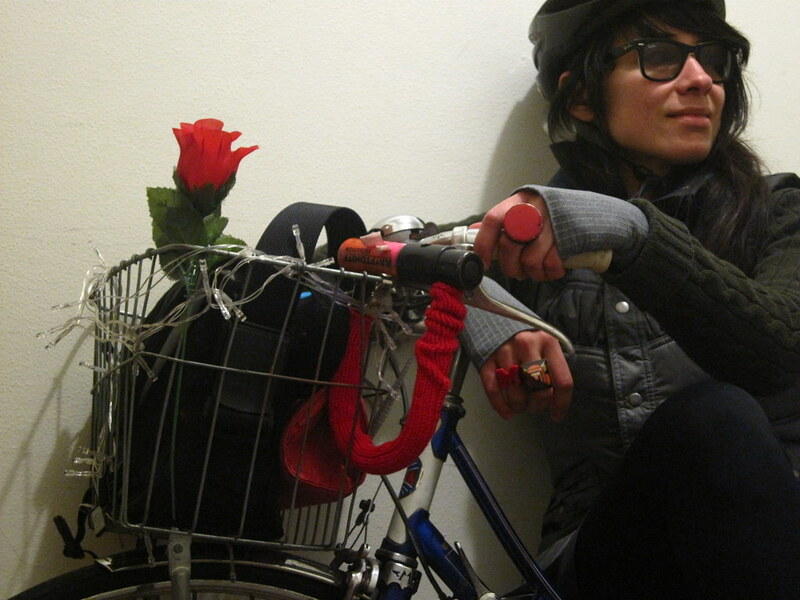 She once asked me, when will you start your own bikey blog? oh, right. and I did. 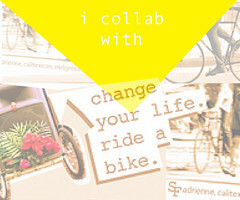 Her posts are focused on fashion, designers and the culture around fashion and blogging. Amongst other things are her daily and beauty tips from Sonja, her blog beauty correspondent. I started reading her blog because I related closely to many of the fashion questions, issues and topics that are still brought up throughout her blog and links. She also founded Independent Fashion Bloggers. Cool stuff. 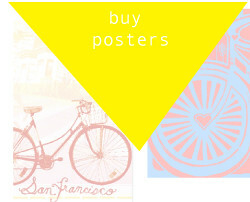 Now her blog is based out of Chicago in the states, before that was Germany, and before that SF. 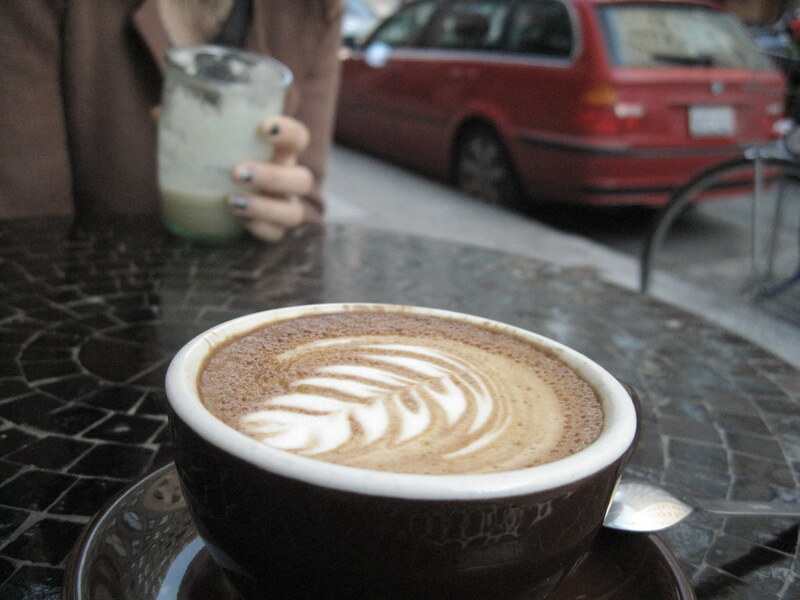 When she visited, we enjoyed some time to chat over a cup of coffee and hot cider at Farn:Table on Post st. This picture is super outta focus, but I dig it. It had just started to rain, freaky-flash incident of nature. ironically, while looking for a gift certificate for a sunglass shop. the terribly missed raybanizers, had fallen behind the bookcase, their ritual, usual spot. 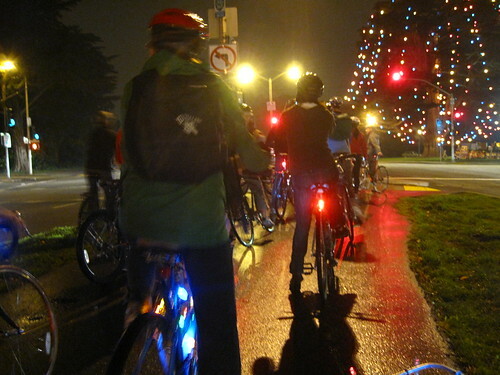 The Annual Xmas Bike ride was the Sunday Dec. 20th. 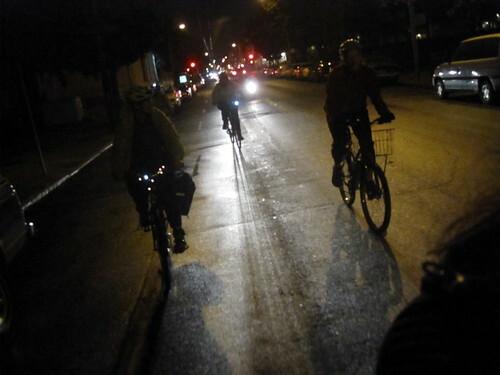 It was a rainy evening, but that didn’t stop us all from joining the traditional and unknown route ride. Changes every year. 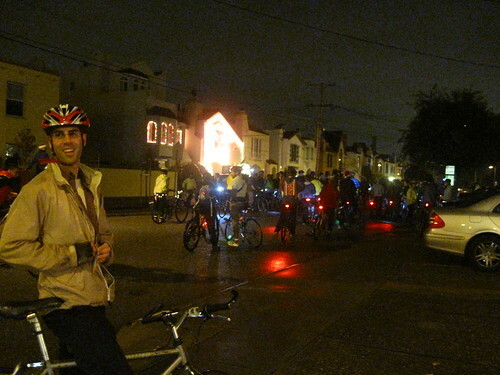 Ridership almost felt as if it doubled from the ride last year, and it was tremendous fun. 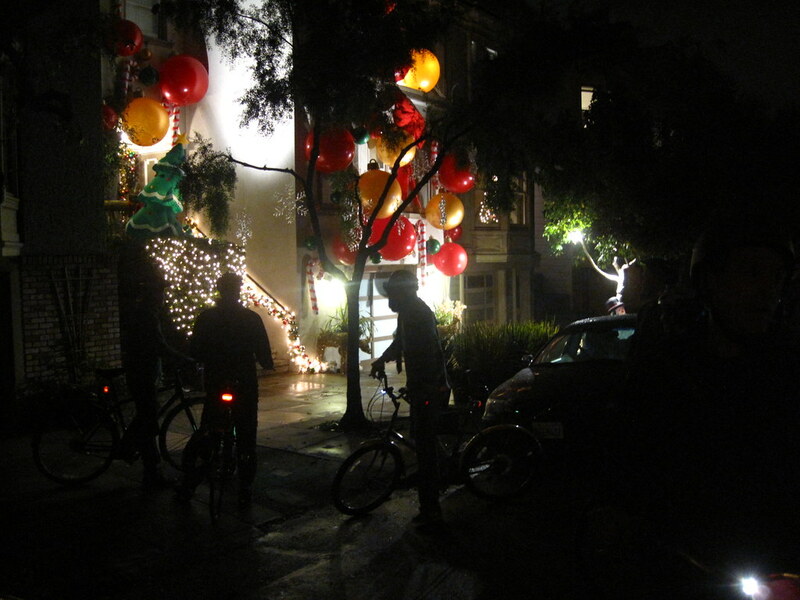 The residential holiday lights combined with people’s spirit on wheels is a craft of beauty. One of those gatherings that you get to hang out with your peeps, new ones, get to show (don’t we always?) your inner holiday end of year kid-like spirit when we stop at some amazingly lit decked-out houses and when you least realize, you have gone 10 miles, a few hills and a number of districts throughout the city. Statue start. Ride meets every year at the Panhandle statue on Baker st. 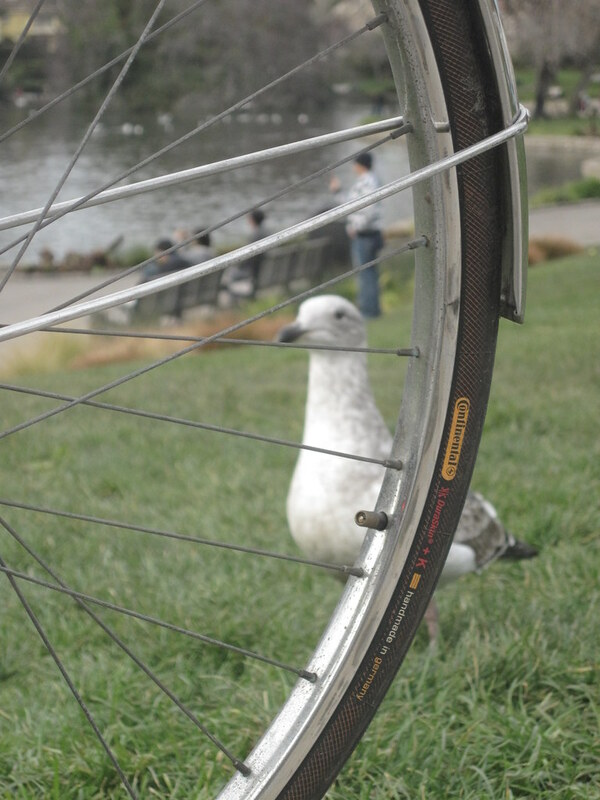 The ride this year went from the panhandle, out to the Inner Sunset onto the Outer Sunset via 20th or 22nd (I forget, it was the few minutes that it was kinda rainy) then we went on to Parkside, rode around the circles in St. Francis wood. Yelled at Adrienne from the bikey lane from the vicinity of Monterrey Blvd. 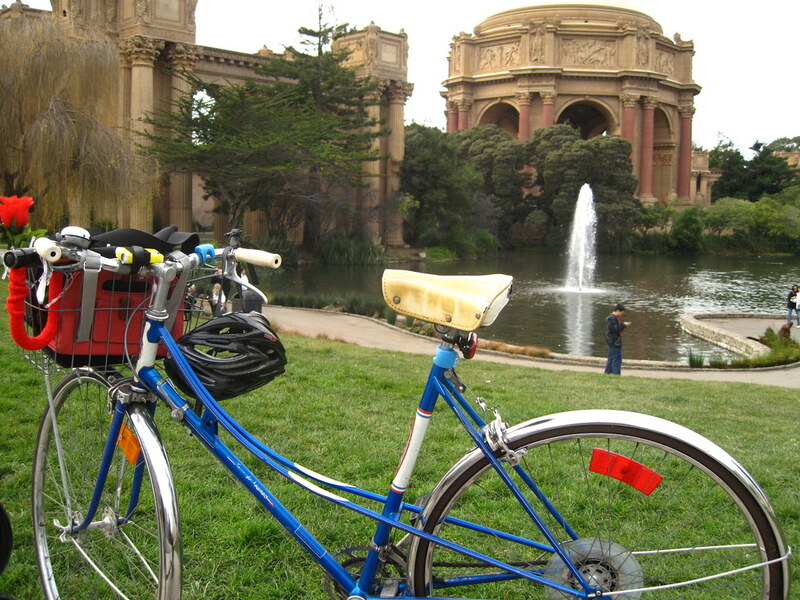 We rode up and around Glen Park, downhill to Noe Valley and then did a Limbo bike dance on Lexington. 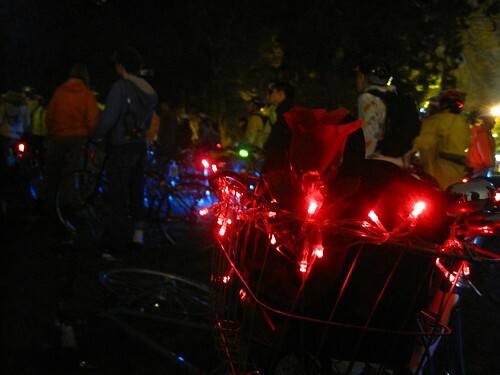 There is no official website or anything for this, just stay tuned in December when the organizer Robyn – she does a great job of pulling this together every year– posts the date in the Bike Coalition’s Chain of events page. Yay. This year was a needles-ride. The rain was never really intense or much present at all, but was a sufficient effect as what I’d like to call the needle-effect on your face. It is really great. Doesn’t get you drenched, doesn’t let you arrive very dry, and gives your skin a few raining needles on your face. For those of us riding like turtles in the back of the bus, there was Nancy. She did a great job at sweeping or letting us know where the group turned. 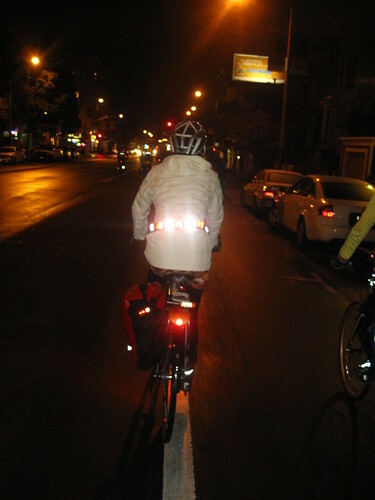 Here she is, sporting an awesome belt made out of reflective pieces wrapped around her white coat. Very cool. 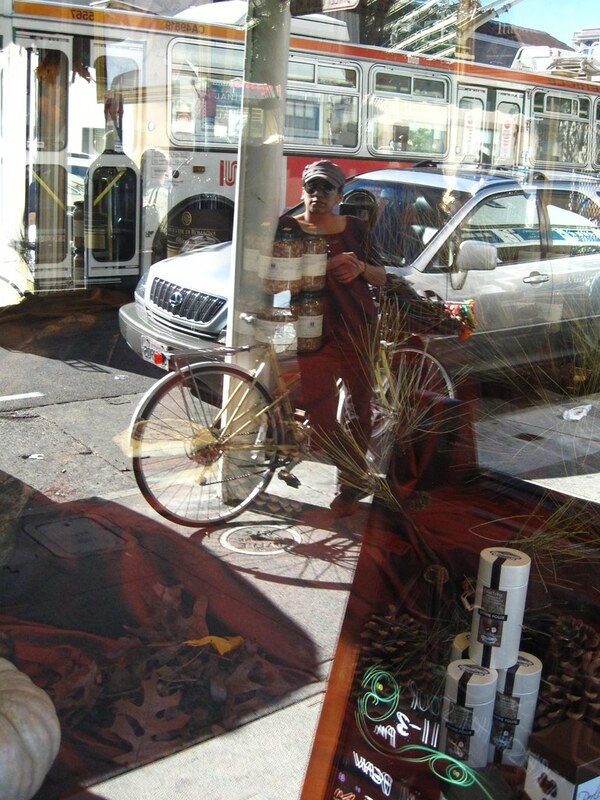 After we rode up and down Lexington street in the Mission, we rode on 18th, rode a little bit on the east side of the Castro and caught the down side of the Wigglelands to end the ride at Duboce park. 14 miles really?! that was a ton of wheeeeeee-milage. 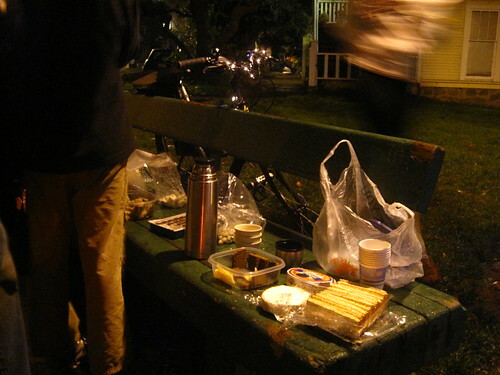 Thanks to all the peeps that brought soup, delish cheese, crackers and some sweet baked goodies for the end of the ride. And Calitexican’s special filtered-water bottle. Yeah. After snacking, we ended the night getting some late night Sunday pizza in the lower haight. After all our city is only 7 miles square, we pretty much covered every other district. And our bikes became happy raindeers with wheels.